For my birthday, Abby's sweet boyfriend, Alex, bought me two books (he knows me too well!). 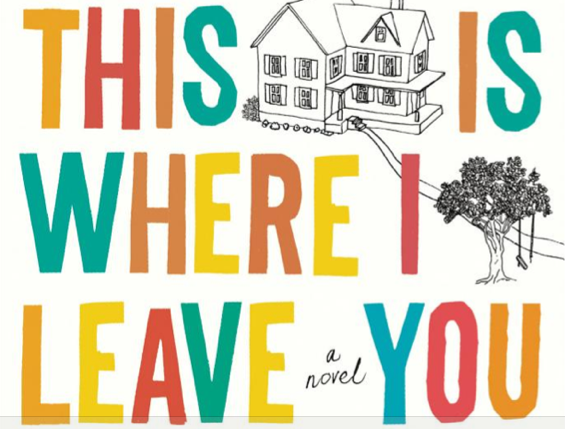 I just finished the first; a comic, fast read, This Is Where I Leave You by Jonathan Tropper, is truly enjoyable and a book you want to pass to your best friend the minute you close the cover. At a little over 300 pages, the book goes quickly as the first person narrator moves deftly from present tense to memories to lucid dreaming to nightmares. While dealing with infidelity and bereavement, This Is Where I Leave You stays lighthearted and witty. To top things off, it's been produced as a family dramedy for the summer. (It looks great!) It stars some of the top rom-com players including Jason Bateman, Jane Fonda, and Tina Fey. I wanted to read it before I see it, will you do both?